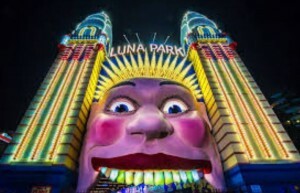 Over this time, multiples of tourists are flocking to Sydney for the unique show popularly referred to as the Vivid Sydney. This is a 23 -day yearly event of music, light and ideas that features a variety of forums from the creative industry in the world, an amazing public show of outdoor lighting installations and sculptures and a highly advanced program of contemporary music. It is these mesmerizing vivid lights and other free exhibitions that make the festival a great tourist attraction. We can best describe Vivid Sydney as the point where art, commerce and technology intersect. The celebration, which started on 27th May and will run up to 18th June, has grown tremendously. Last year it attracted over 1.7 million tourists and this year things can only get better. Vivid Sydney experience turns the entire city into a light art wonderland, with creative light installations giving it a catchy experience for the public to view for free. This offers a magical festive of light- design brilliance and the world’s biggest outdoor art- gallery. The success of this is achieved by lightning designers, manufacturers and artists from Australia and other parts of the world to brighten and transform urban spaces of the city. Vivid Music is another program that characterizes this mighty Vivid Sydney. We have both international and local music artists displaying their talent at the great Sydney Opera House, other big venues and small clubs. The event is famous for hosting an electric and lively variety of live performances. At the Sydney Opera House, tourists have an opportunity to enjoy Vivid Live, a cutting- edge music program. Unmatched musical collaborations and live performances entertain visitors here. Another tourist attraction here is the inspiring ideas from world creators and thinkers. This forms a big part of exhibition in the Vivid Sydney. It brings forth a celebration of creativity, community and innovation. This helps to build markets and audiences for the creative industries and promotion of professional advancement opportunities in the sector. The program really stimulates the imagination and innovation field: from architecture and design to technology, visual arts to screen and film content, marketing and advertising to animation and so on. During this event, Vivid Ideas draw together creative and business leaders for updates of information in their respective industries, professional development, and innovation and market opportunities. All visitors gain a lot from gathering all the conventions, conversations and big announcements. There is no doubt this program has transformed destinies of many people, besides the enjoyment.